Mt. 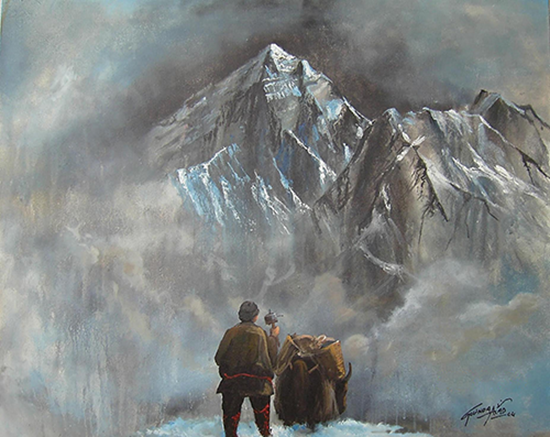 Everest, 2005. Acrylic on canvas, 153cm x 153cm. 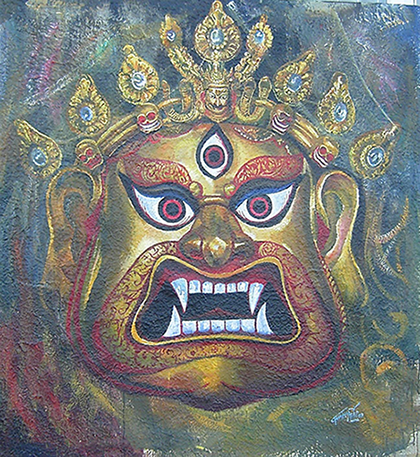 Bhairava, 2003. Acrylic on canvas, 182cm x 182cm. 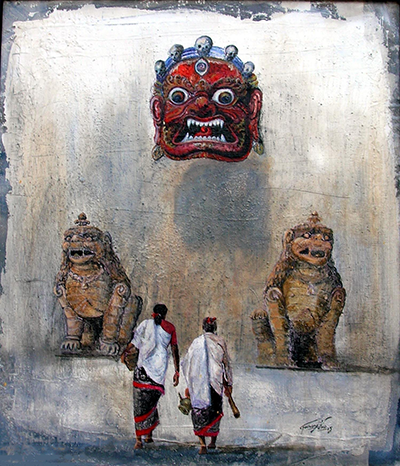 Bauddhanath, Kathmandu, 2003 (Sold). 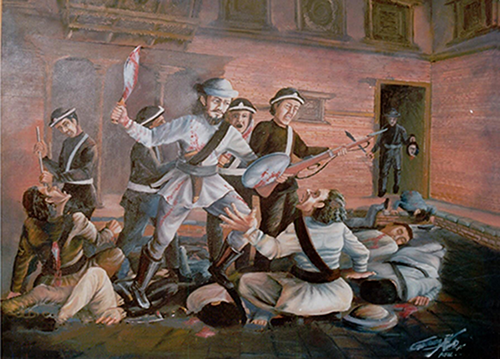 Oil on canvas, 153cm x 92cm. 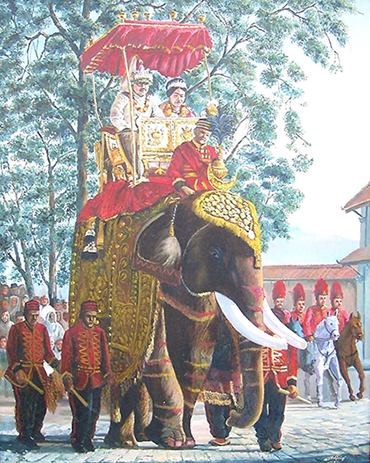 Coronation of King Birendra, 1999. Oil on canvas, 182cm x 121cm. 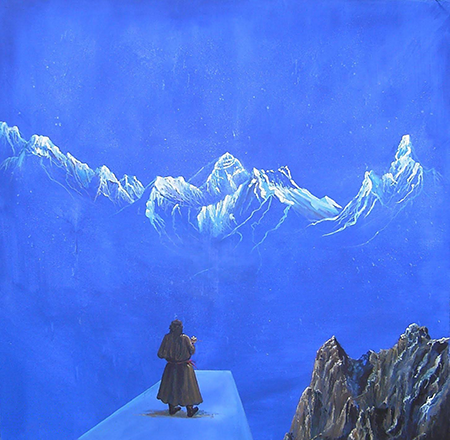 Pillar of Hope(series), 2006. 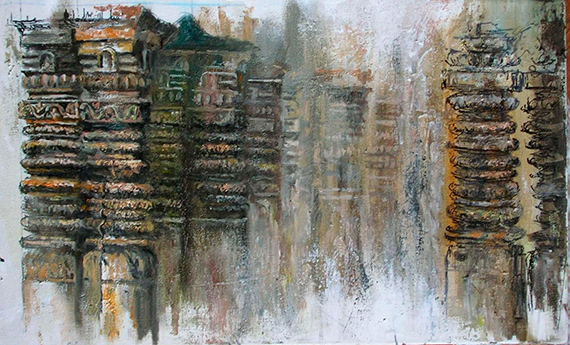 Acrylic on canvas, 45cm x 106cm. Ghandruk, Mt. Annapurna, 2002. Oil on canvas, 61cm x 77cm. 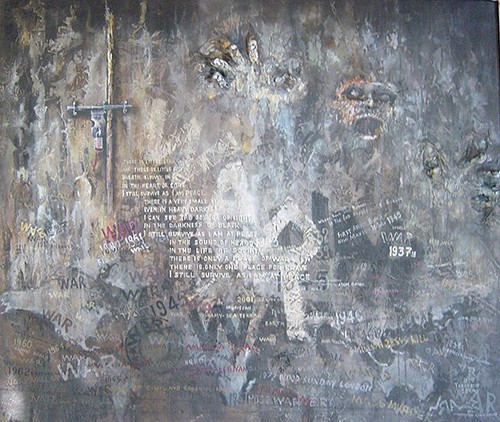 Pillar of Hope (series), 2006. Acrylic on plywood, 61cm x 61cm. 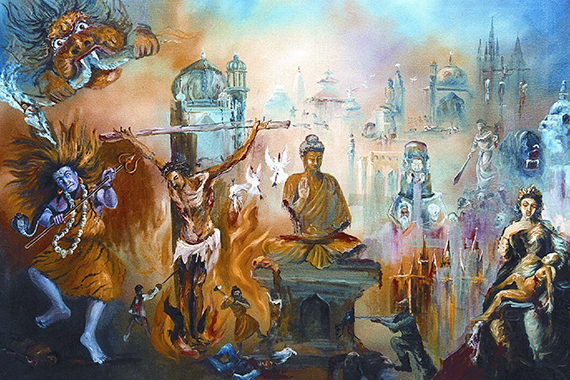 Kotapurba, 1998. Oil on canvas, 96cm x 106cm. 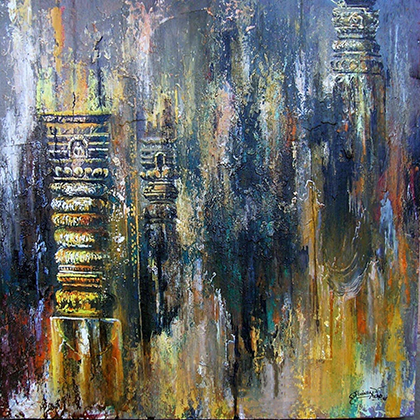 Pillar of Hope (series), 2005, Acrylic on canvas, 45cm x 60cm. 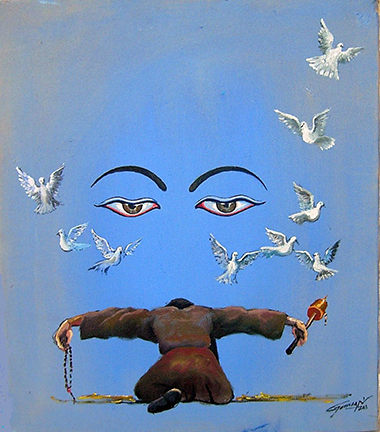 Falling Peace, 2003, Oil on canvas, 76cm x 91cm. Please open the Door, 2006. Oil on canvas, 121cm x 152cm. 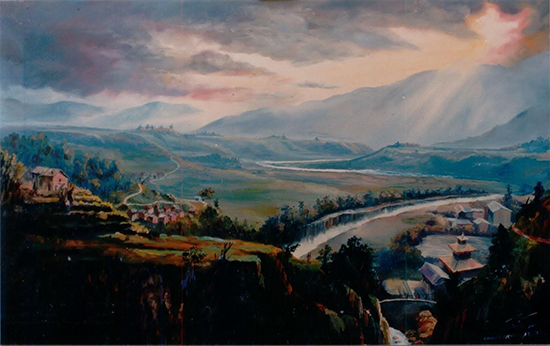 Golden Gate, 2003, Acrylic on canvas, 153cm x 457cm. 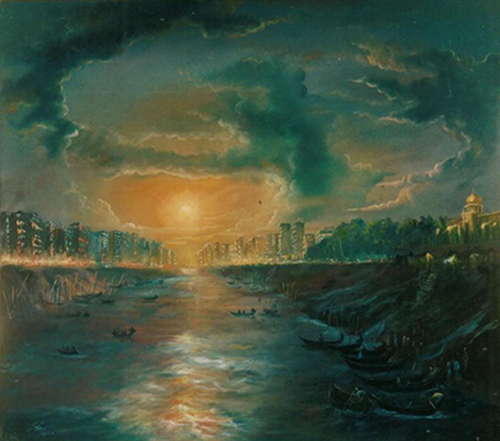 Buri Ganga, Dhaka City, 2004. Oil on canvas, 90cm x 120cm. 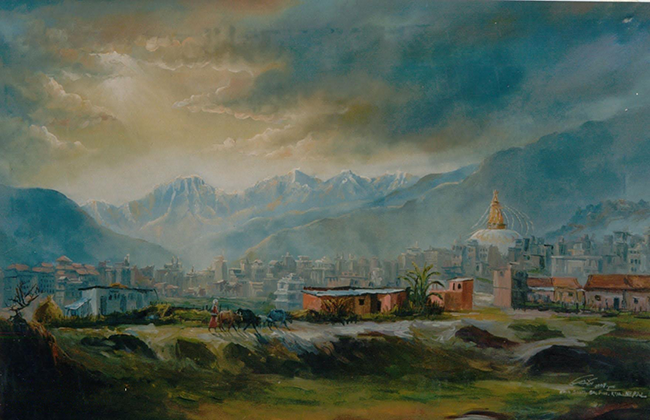 Landscape, Kathmandu, 2003. 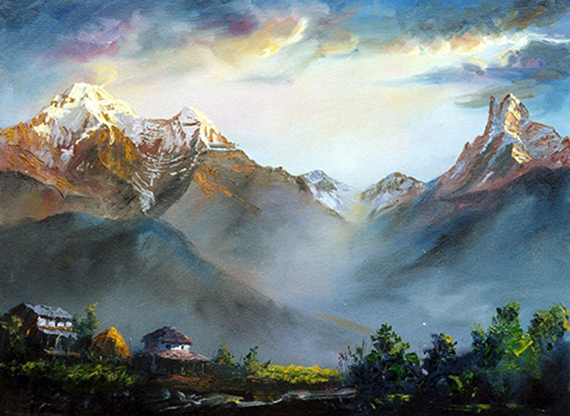 Oil on canvas, 90cm x 150cm. Mount Everest, 2003. Acrylic on canvas, 153cm x 153cm. Mount Everest, 2004. Acrylic on canvas, 91cm x 91cm. 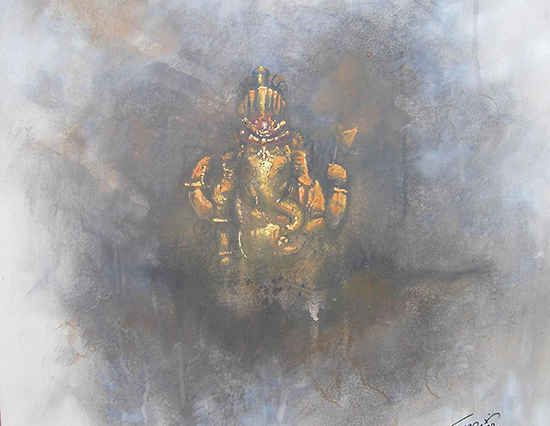 The Ganesha, 2005. Acrylic on canvas, 45cm x 45cm. Gods behind the Terror, 2002. Oil and acrylic on canvas, 121cm x 182cm. 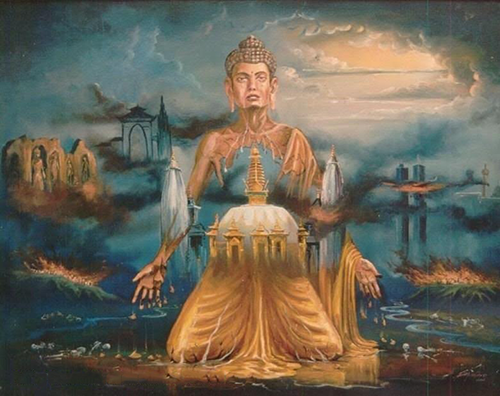 Meditation for Peace, 2003. Acrylic on canvas, 61cm x 76cm. The Third Pole, Mt. Everest, 1999. 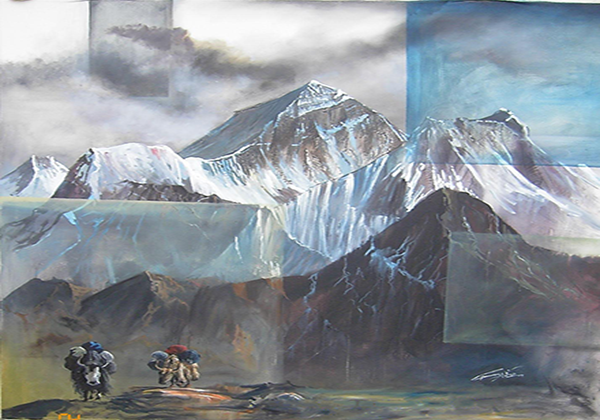 Oil on canvas, 900cm x 300cm.